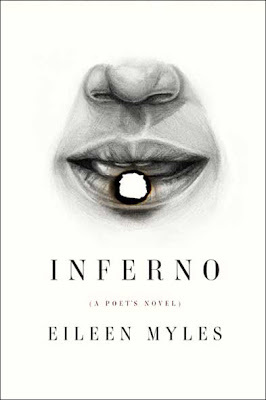 One of my newest Facebook pals talked to Eileen Myles about writing and publishing the book, here: BombBlog podcast—Eileen Myles and Jackie Wang. INFERNO is available mainly from the publisher, OR Books, or from select independent bookstores. I just bought my copy from my favorite New York bookstore and am anticipating its arrival on my doorstep. I can't wait.